The harvest moon makes Murin-an a truly blissful place to be. 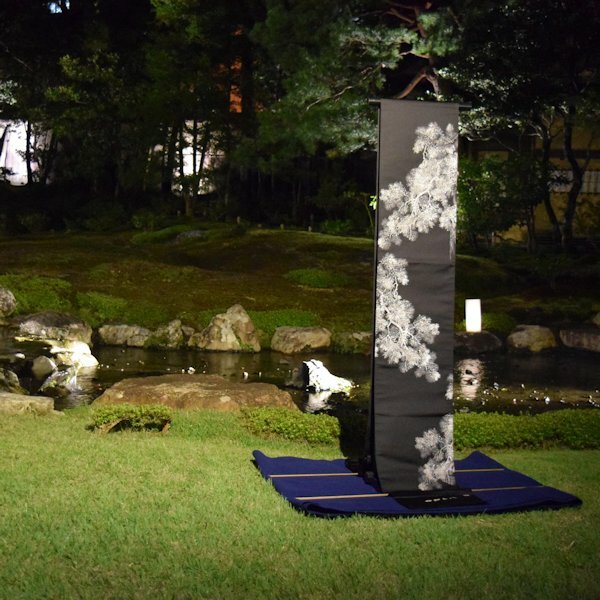 Yoko Ogihara of Gofuku Ogihara gave a lecture on kimonos and displayed a specially prepared exhibit of precious kimonos. 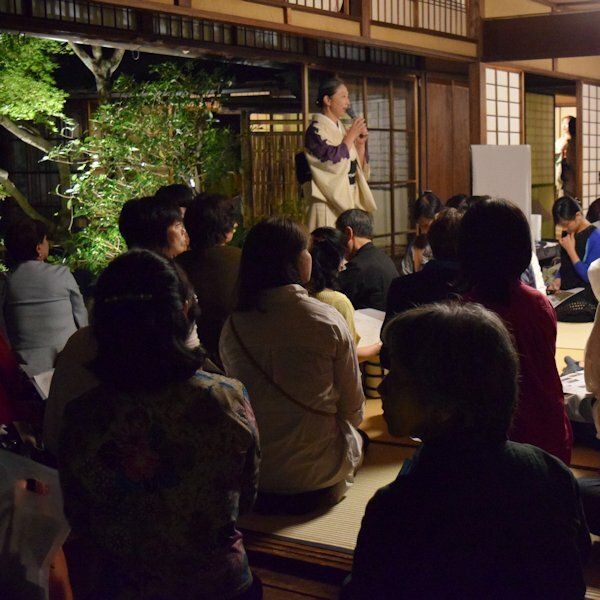 At the special nighttime tea ceremony led by Urasenke tea master Chiba Soko, we served original sweets prepared that day by Kyoto Suetomi. 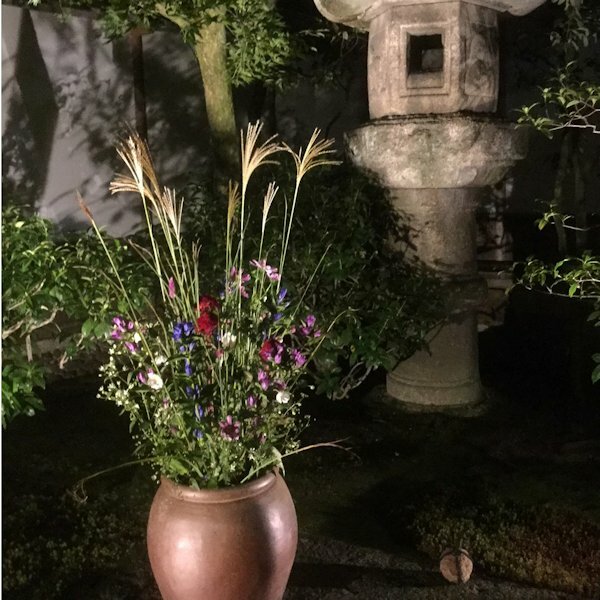 The climax of the evening was the gentle and wistful sound of Kazuya Sato’s Shinobue bamboo flute spreading throughout the garden. 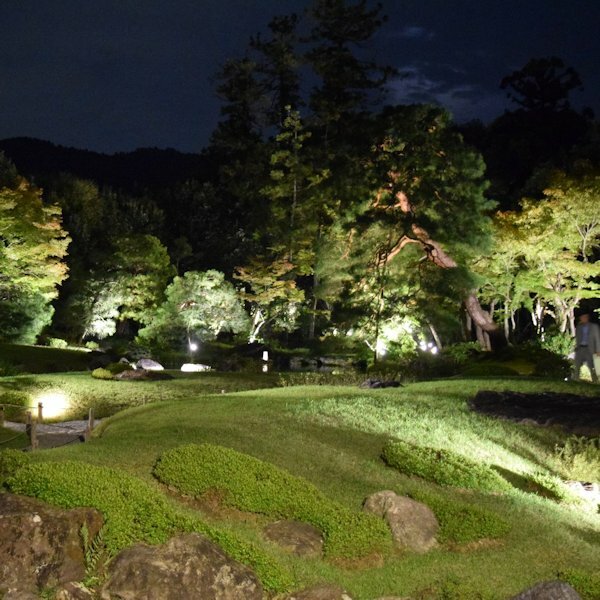 It was an incredible night of experiencing refined Japanese beauty under a harvest moon.